Her famous last name will make you take notice, but the big sister of Facebook founder Mark Zuckerberg is forging totally different path for herself. After spending six years as Facebook's marketing director, she left the company in 2011 to start the media and production company Zukerberg Media. She also serves as editor-in-chief of Dot Complicated, a digital-lifestyle website. 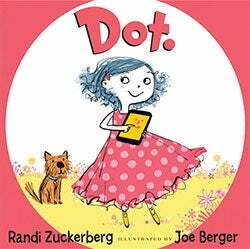 Last week she released two books with HarperCollins an adult non-fiction book also titled Dot Complicated and a children's picture book called Dot. Zuckerberg has produced shows for the Clinton Global Initiative, Cirque du Soleil, Bravo and Condé Nast, and was nominated for an Emmy award in 2011 for her innovative coverage of the 2010 mid-term elections. I wanted to be a Broadway actress; I was always interested in music and theater. My siblings and I shoveled snow for our neighbors. We charged $5 a yard and split the earnings. I wish I knew how scary it is. I once heard someone say, "You're not a true entrepreneur until you feel like you’re about to vomit more than once a day from nerves or fear." 4. What did you learn from the worst boss you ever had? I had a boss at my first job who would do all kinds of cruel things -- belittling junior staff members in front of the whole team, humiliating new staff to bolster her tough-image. She once told me a meeting started 30 minutes later than it actually did, just to reprimand me in front of the whole room. She taught me a lot about how NOT to treat the people you work with. As a contrast, when I worked with Sheryl Sandberg, she really instilled a sense of confidence in me and taught me to never ask permission to share my opinions. 5. What is the strangest marketing experiment you ever did? One of the stories I recall in Dot Complicated is about an internal project I worked on during one of my first few years at Facebook. I had to post a fake poster for a sorority rush party at a college near by. The next morning, sorority pledges showed up at the house for this party that didn’t actually exist. This was one of the first times we saw "real life" results and it taught us a lot about the reach of Facebook at that time. 6. What's your best hiring tip/secret? It's not all about experience or age. It's important to find people who are smart, hard workers and passionate. When you are interviewing, look for those candidates who respond with the most enthusiasm and come up with innovative, out-of-the-box responses. It is also important to ensure new hires fit into your work environment and mesh well with your team. Be sure to not only look for their work ethic and what they may contribute to the business, but also assess their answers for a glance into their personal attitude and character. 7. How do you use social media? I am on a lot of social media platforms -- Facebook, Twitter, LinkedIn -- but these days I’m really loving Instagram. I try to post on Twitter, Facebook, and Instagram at least once a day. But, it changes depending on what I have going on at that time. I always put a focus on quality over quantity when it comes to content and I try to find a balance between sharing my professional and personal worlds. 8. What do you admire most about your mom or dad? They are so supportive of me and all of my siblings. From a young age they really encouraged an appreciation for education, which we've all carried with us. 9. What's your favorite book? The children's book, The Giving Tree by Shel Silverstein. It has a wonderful message, which I always valued, but even more so after becoming a mother. It beautifully depicts the unconditional love a parent feels for their child. 10. What did you learn from your biggest failure? To have no regrets. Every failure can teach you how to do something better the next time. To me the biggest failure is a mistake you don’t learn from or remember. I am inspired by the people I meet and speak to on a daily basis. 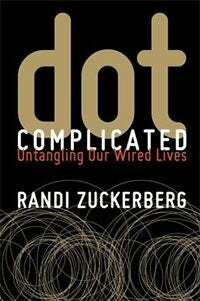 I was actually inspired to write Dot Complicated after I had spent some time traveling after leaving Facebook. No matter where I was, or who I was talking to, the questions were all very similar -- people wanted to know how to navigate the changes technology was influencing in their every day lives. 12. What was the best piece of advice you ever got? The worst? Some colleagues at my first corporate job in New York advised me not to take the risk and join Facebook -- thankfully I didn't listen. The best advice I received was from my parents, they always told me to go after my dreams and trust my instincts. 13. What's your productivity secret? Work, sleep, family, friends and fitness -- every day I pick three of these. No one can do it all, but if you pick three top priorities each day, you can better plan your time. It's a little easier after doing it for several years, but I try to remember to be myself and not take it too seriously. 15. What's your favorite quote? I grew up as a huge Star Wars fan, and it always evokes a sense of excitement and memories from childhood. Cyber bullying. Online, people can often hide behind the anonymity of screen names or pseudonyms, and can be very cruel, without taking responsibility. 17. What's your favorite vacation spot? Earlier this year I visited Tokyo with my husband and son while I was writing the book -- it was a really beautiful and interesting city. 18. What do you think is the most important innovation of your lifetime thus far? There have been so many amazing innovations, but I would have to say the cellphone. Mobile technology has really opened the door to many innovative possibilities. Tina Fey. She's the whole package -- hilarious and talented, as well as extremely smart and innovative. 20. What was your favorite class in college? Pretty much any class focusing on music or drama.